Today, I finally got a serious start on the short story I’m working on for the blog hop. I hate to say I’m pushing the last minute here, but it’s been one of those weeks/months/years. I’ll probably finish the story during my early-morning writing session tomorrow, and throw a little spit-polish on before I post it. Actually, this is the second story I’ve gotten out of the current blog hop, so I’m not doing too badly. If you want to read a different Halloween story, Mrs. Willoughby’s Heart is up, right now. Oh, yeah… and in case I haven’t mentioned it, lately. 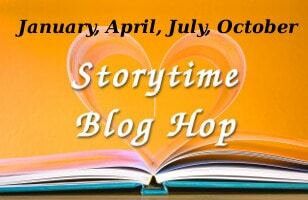 Story Time Blog Hop on the 27th of October with the amazing and ingenious Juneta Key hosting. We have a great lineup of writers, this time around, so be sure you drop by to read the stories for the Halloween edition. They’re free… for now, anyway. My characters suffered for that one. *snick* love the earthy tones and taste like dirt. Still chuckling.